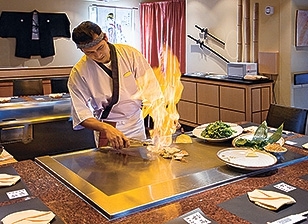 Our mission is to bring authentic Japanese cuisine to the Alpine village. Our recipe for success is an ultra-talented kitchen crew that has learned its craft in Japan, and an uncompromising approach to quality and freshness. Sample freshly-made sushi and sashimi, specialities from the teppanyaki grill and other dishes from the Land of the Rising Sun.